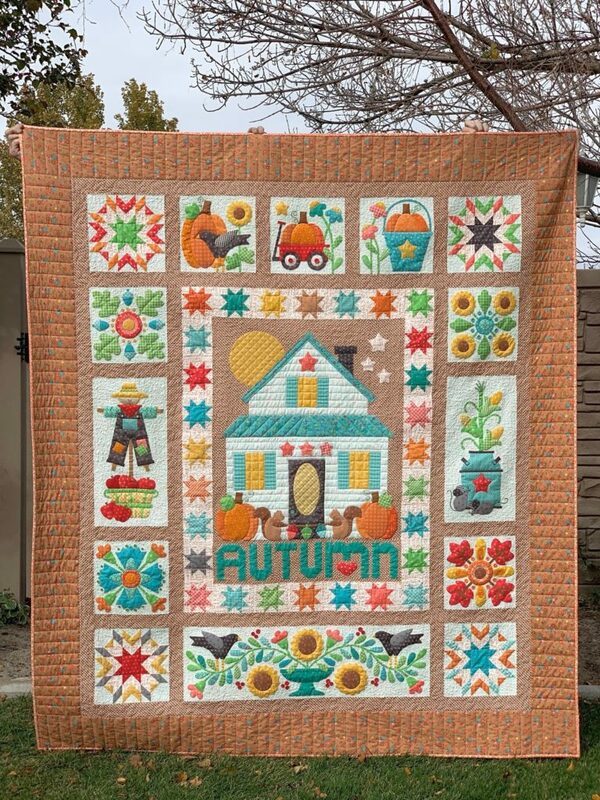 It is the final week of Lori Holt’s Autumn Love Sew Along and her quilt looks amazing! Lori has shared weekly tutorials for each block on her blog, BEE IN MY BONNET, including links to get started if you are just joining the party. 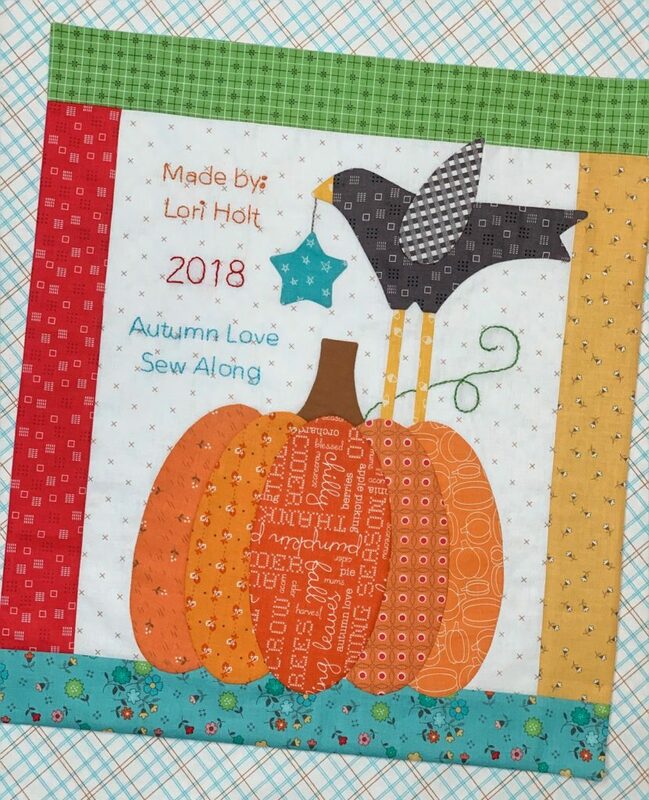 Stop by Lori’s BLOG for more photos and details about the finished quilt PLUS get the free tutorial for this adorable quilt label to sew on the back of your gorgeous finished project! 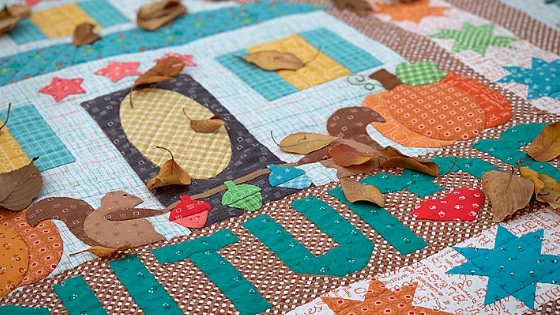 Autumn Love fabric is available now at your favorite local and online quilt shops. Pick up yours today and share your makes with us on Instagram using #rileyblakedesigns #iloverileyblake #fabricismyfun. Check out Lori Holt’s Instagram feed @beelori1 for loads of gorgeous photos and project inspiration!